FOR IMMEDIATE RELEASE: Lewiston, Maine (December 10, 2015) – New England Fights (NEF), America’s number-one regional fight promotion, will hold its next event, “NEF 21: THE IMMORTALS” on Saturday, February 6, 2016 at the Androscoggin Bank Colisée in Lewiston, Maine. The fight card is scheduled to feature both mixed-martial-arts (MMA) and professional boxing bouts. Earlier today, NEF announced the addition of an amateur bantamweight championship bout to the “NEF 21” fight card. 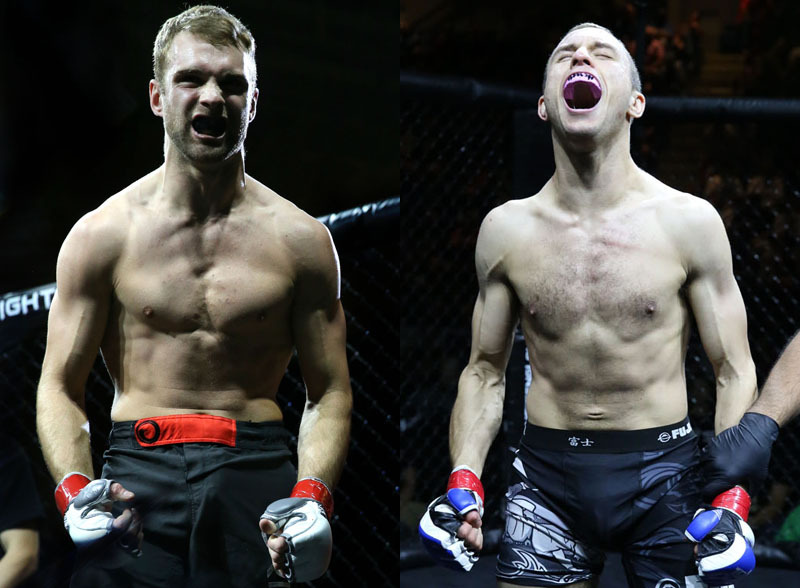 Johnny Crafts (3-0) will face Henry Clark (3-1) at a fight weight of 135-pounds to determine an inaugural NEF MMA Amateur Bantamweight Champion. Crafts, a Brazilian Jiu-Jitsu (BJJ) brown belt out of Team New England United (NEU), is undefeated in the NEF cage. He made his MMA debut in early 2014 and has finished all of his opponents via submission. On February 6, it will have been just short of a year since Crafts’ last foray into the NEF cage. He had been scheduled to challenge for the bantamweight title earlier this year, but his opponent pulled out of the fight. Now, Crafts has made it very clear that the long layoff has left him hungry for action. Henry Clark is a member of the Choi Institute in Portland, Maine. Like Crafts, all three of his victories in the MMA cage have come via submission. Clark raised eyebrows with his stunning triangle choke win over Fred Lear (3-2) earlier this fall at “NEF XIX.” That submission earned Clark his spot to challenge for the vacant amateur bantamweight title. More than the challenge for the title, Clark looks forward to the tough challenge a high-level opponent like Crafts presents.